يقع فندق Suncourt Hotel & Conference Centre في منطقة تتمتع بمعالم كثيرة، وتعتبر المكان الأنسب لاكتشاف هذه المدينة رائعة الجمال و ما يحيطها. يجذب هذا العقار ذو 4 نجوم، والذي يبعد 1 km فقط عن وسط المدينة و 7 km عن المطار، الكثير من الزوار سنوياً. يضفي محيط الفندق اللطيف وقربه من أكثر المعالم السياحية جذبًا سحرًا خاصًا على هذا الفندق. إن Suncourt Hotel & Conference Centre حريص على توفير الراحة للنزلاء، فلا يوفر الموظفون جهداً في تقديم أفضل الخدمات وضمان حسن الاستقبال. لضمان راحة ضيوفه، يقدم الفندق الخدمات التالية: واي فاي مجاني في جميع الغرف, مكتب الاستقبال على مدار الساعة, مرافق مخصصة لذوي الاحتياجات الخاصة, تخزين الأمتعة, واي فاي في المناطق العامة . في Suncourt Hotel & Conference Centre غرف نوم يزيد عددها عن 52 صممت بذوق وعناية لتوفر لك كل وسائل الراحة . بعضها يحتوي أيضاً على تلفزيون بشاشة مسطحة, سجاد, قهوة فورية مجانية, شاي مجاني, بياضات. يقدم الفندق العديد من الفرص للاستجمام كمثل حوض استحمام ساخن, مسار جولف - ضمن 3 كم, حمام سباحة خارجي, ملعب للأطفال. إن كنت تتطلع إلى إقامة مريحة وهادئة في المدينة، فستجد في Suncourt Hotel & Conference Centre بيتك الثاني. It’s a great location as you can walk to the center of town. The reception staff were really nice and friendly. The view across the park to the lake is nice . Wish we had chairs on our balcony so we could have sat outside looking at the view . We could hear the people upstairs walking around but fortunately they didn’t stay up too late at night . A very quiet hotel with a nice lake view. Handy to town. Our room was superb. Everything looked new and good quality. Plenty of room. A nice swimming pool. I cannot fault this hotel. Was there with my family at the end of June 2017. Needed a room, and that's what we got. Two, actually, and for our purposes, just fine. Is it the Taj Mahal? No. But it's not bad. A comfortable standard en suite room with the bathroom around the corner from the beds so noise and light is somewhat segregated (I wish more hotels did this). Front desk staff was helpful and we were able to go next door to the bar area for a beer and hot chocolate while we waited for the online reservation I made while standing at the front desk to come through. All in all, more than satisfactory. We stayed in studio lake view which had great view of lake Taupo and Mt Ruapehu in the background. I would recommend lake view 2nd floor which we got. The hotel is old and simple, but still clean and comfortable. 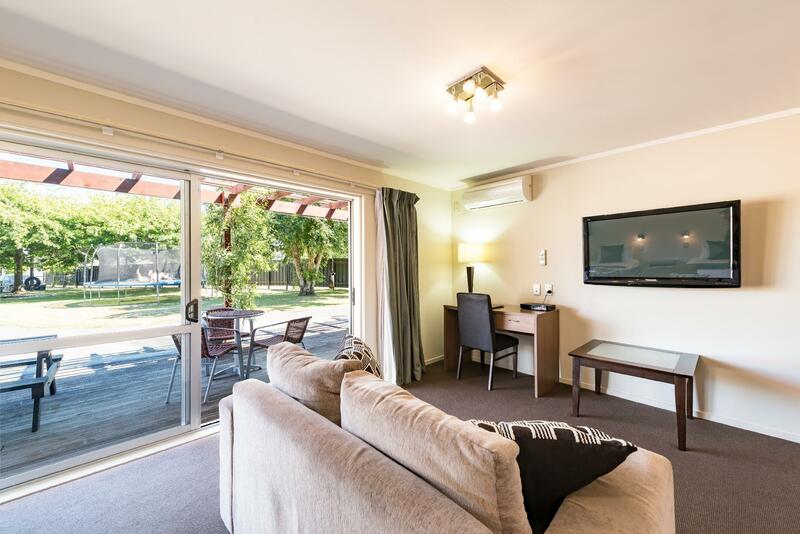 Walking distance to restaurants and lake Taupo is just across the street. Suncourt is an awesome place to stay at. Its close to everything you want. Their pools are amazing and the room we stayed in was enormous. Most of all restaurant nexts door breakfast was free for kids with a paying adult. 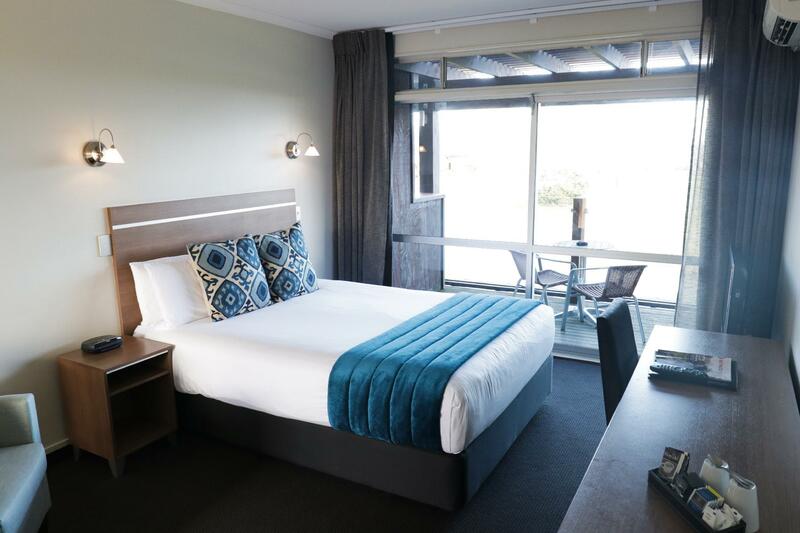 I would definitely come back to this hotel when im in Taupo. There's also heaps of carpark for you truckies and big families travelling with alot of cars. So if your in Taupo and looking for a hotel come to this place. You will have a time of your life and they didnt pay me to say that lol. Only con was the night porter who was friendly but gave us very inadequate instructions as to where our unit was. We got a bit lost in the dark and didn't know where to park! I think he should have seen us to our units at 11 o'clock at night! Staff was really helpful to cater for our needs. 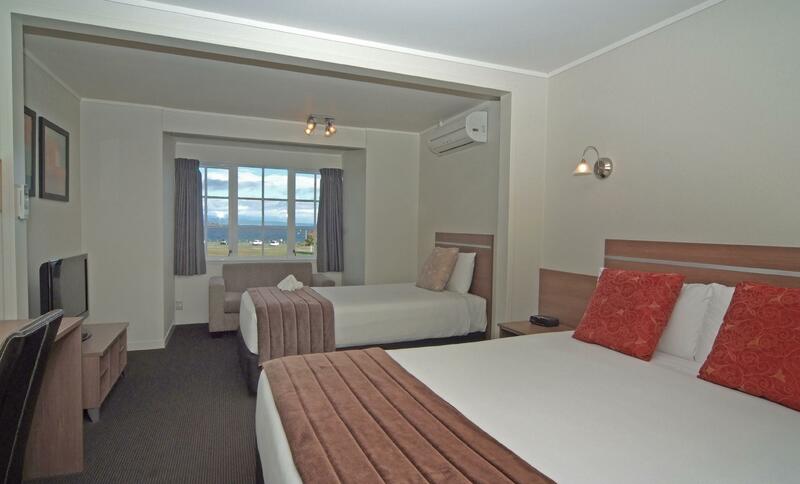 Hotel is located right in front of the beautiful Lake Taupo. If you get lucky, you can get the room with the view. 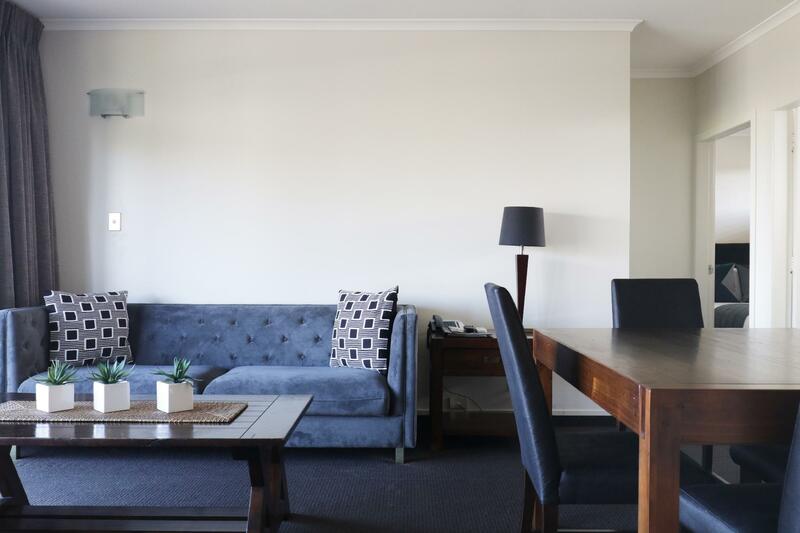 Rooms & apartments are pretty clean and spacious . 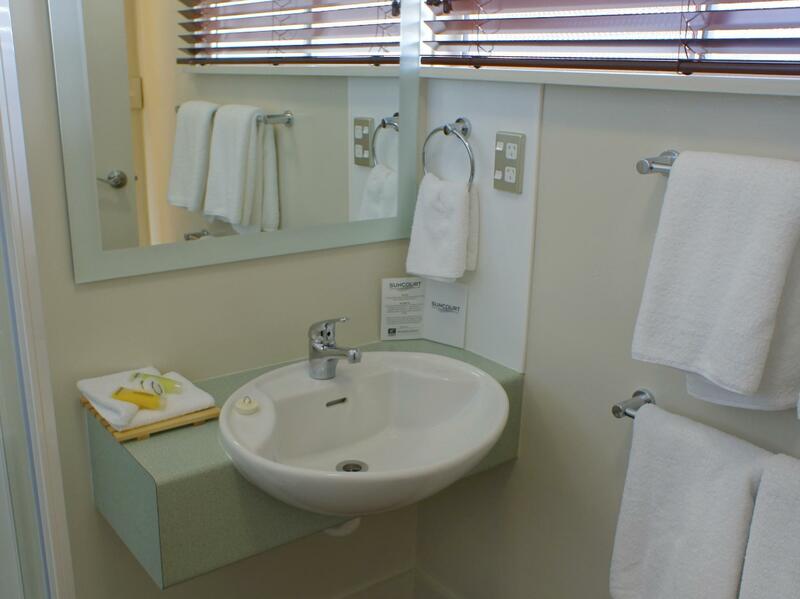 As the name implies, it is a hotel and conference centre in a tourist resort - Taupo. One good thing worth mentioning is the service by Mandy who was at reception when we checked in; Mandy was very friendly and helpful, and if there was a single reason to compliment the hotel, it would be her. Besides Mandy, we did not encounter any other staff that provided the service expected of a 4-star hotel. The room is small and there are no cooking facilities, not even a simple microwave oven to heat up some milk or drink. The housekeeping staff don't even know who is checking out, and are extremely impatient - one knock and if they don't hear any reply, simply open the door with their master keycard! That was what happened on our checkout day! When told that we were checking out, they simply left their large carts right outside our door which made it extremely inconvenient for us to leave with our luggage - if you want us out fast, then make it easy for us to leave, not block the way! We booked a two bedroom apartment - but there was no stove - everywhere throughout New Zealand where we booked two bedroom apartments there were stoves - but not here. The receptionist said they expected us to eat meals at the hotel, but who wants to do this all the time? we like relaxing for breakfast in our apartment - they did end up providing us with a hot plate and one pot, but no pan for eggs or anything else. Smallest 'kitchen' in any two bedroom apartment that we stayed in. A comfortable modern motel and conference center. Across from lake and 5-10 walk to towm center. Our room had a nice view of the lake. Staff were friendly and helpful. Room was clean and comfortable. The room is clean. And the view is good. The Hotel is stuck-smuck in the middle of town without being the feel of being in the middle of it. Clean room, comfy bed and lovely staff. Great view of the lake taupo. Just one minute walk to the lake side. Big room. Free parking. Nice place to rest and relax while at Taupo. Clean, close to town, great view of the lake. Enjoyed my stay here. Have stayed before and will be happy to stay again. Friendly staff and rooms very clean. Close to entertainment and shops. 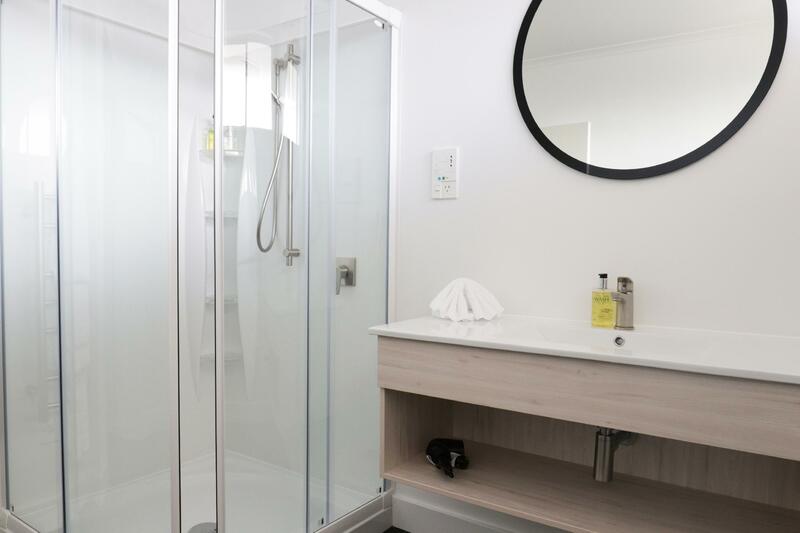 Clean and modern room and bathroom. Kitchenette could have been useful on another trip. 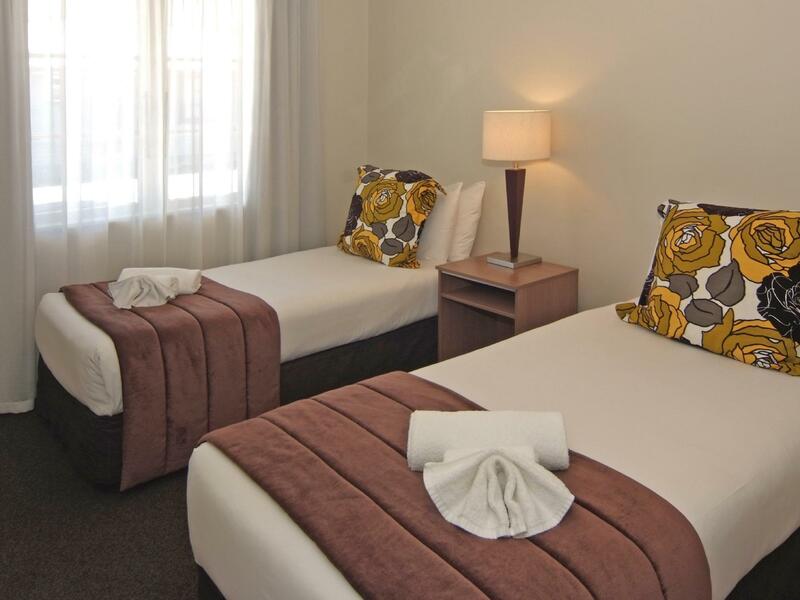 Wonderfully located and such comfortable beds! Love staying here. Very warm cozy room during winter. Perfect location.